Suite Deluxe, a unique luxurious suite in style, equipped with a complete bathroom, including Jacuzzi, located in a former old safe. A unique luxurious suite in style, equipped with a complete bathroom, including Jacuzzi, located in a former old safe. You will undergo this special bathing experience behind an authentic vault door with original twist lock. 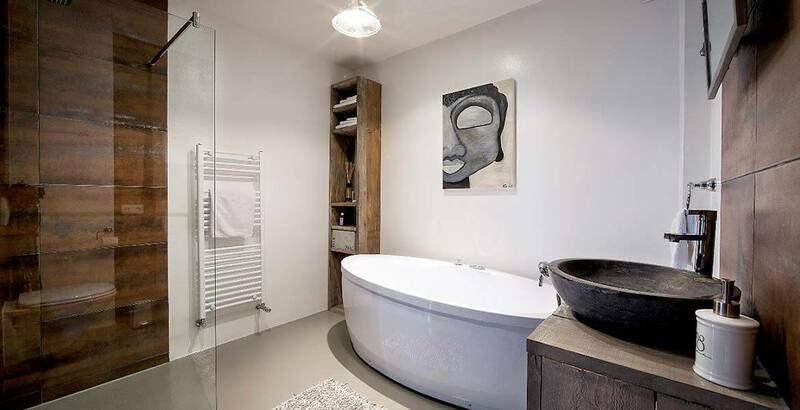 You will either let yourself sink into the freestanding tub or you will rinse your daily worries away from you under the rain shower, before perching in your bathrobe in front of the television. The Bank suite offers an extensive workplace, XL widescreen TV, well stocked mini-bar and a selection of latest books and magazines.